Kidzworld gets the scoop while in Hawaii for the “Journey 2: The Mysterious Island” press day. 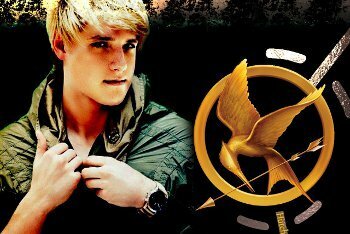 Some “Hunger Games” fans can see cute Josh Hutcherson, as a blonde Peeta Mellark, others are skeptical. We asked the young star about his feelings on the role and his reaction to the latest footage he’s seen. BTW, Josh has now dyed his hair very, very dark brown. I guess, in some ways, it wasn’t more fun being a blonde..
Kidzworld: Have you seen any more finished shots for the film? How are you reacting so far? Josh: I can’t wait for it to come out. I’ve seen some of the footage and the cornucopia stuff looks amazing; the countdowns when we all rush in, the way Gary [Ross, the director] edited it, it looks incredible. Kidzworld: Very cool. 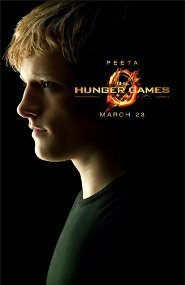 We hear you were a big fan of the novels and really had your heart set on playing Peeta. Josh: Yeah. I said out loud that if I didn’t get that role, I didn’t know what I was gonna do. I had no idea. I was gonna keep acting but I never read a role that I connected with as much and that I felt like I was more right for in my life, so if I didn’t get it then I was like “Well, am I just a bad actor then?” Because Peeta is so much who I am how can I not play myself? Kidzworld: Wow. There was a huge reaction to your cover on Entertainment Weekly. Some fans of the books liked you as Peeta and others didn’t. How did you react to that? Josh: I don’t read a lot of stuff online or otherwise. I think everyone is gonna have their opinion especially when you have such a beloved book. People want to see it done right. What people have to keep in mind is that Gary Ross was hired by the studio and the studio is working with the author Suzanne Collins because they all have a united vision for the project. So having her involved in the process I think helped a lot and having her come out and say the things she did about the casting, for me, really gave me a vow of confidence I think. Kidzworld: Why did you connect so much with the Peeta character? 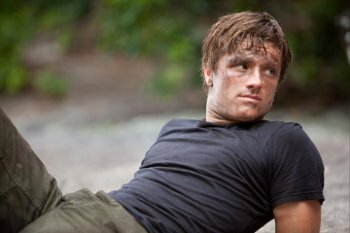 Josh: For me, Peeta has a very strong belief that no matter what circumstance you’re in, you have to maintain who you are as a person and stay true to yourself and that’s my biggest moral as a human being. As well as he has a very self-deprecating sense of humor and he’s good at communicating with people. I felt like his voice and his overall existence was very much who I was. 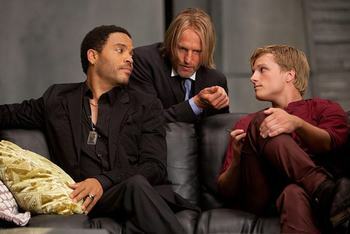 Between what ages must you be in order to enter the reaping?